Facts and figures matter! Who will pay for the trail? How will the lease work? Where exactly will the trail begin and end? 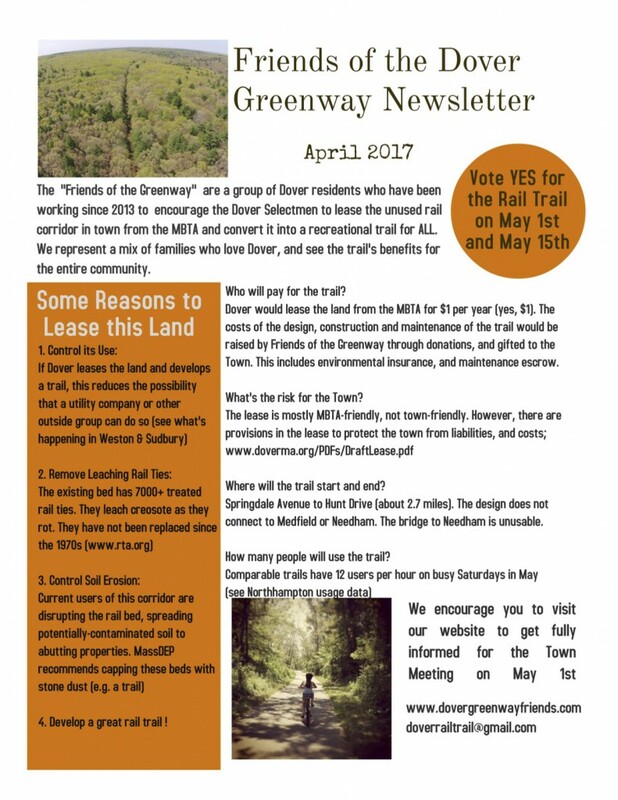 Our April 2017 newsletter addresses these questions and more. Read on. April 3, 2017 in Media, News and Events.